Paris Haute Couture just wrapped up this week and through it we were transported to the other worlds that these luxury brands have created for themselves. From the clothing, to the sets, to the exclusivity of the shows, these brands are setting themselves apart from all of the other mass-produced products out there today. 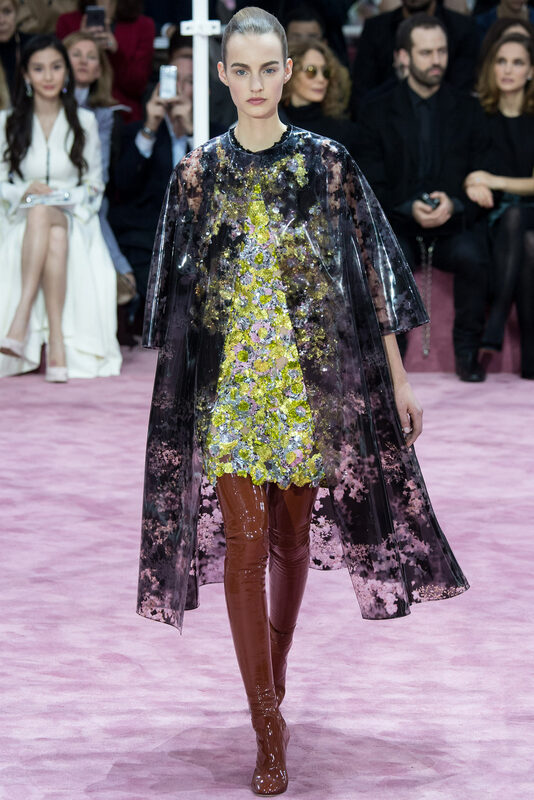 Take the Dior show for example. While I found the collection absolutely stunning, I was enthralled with the massive set on which the show took place. 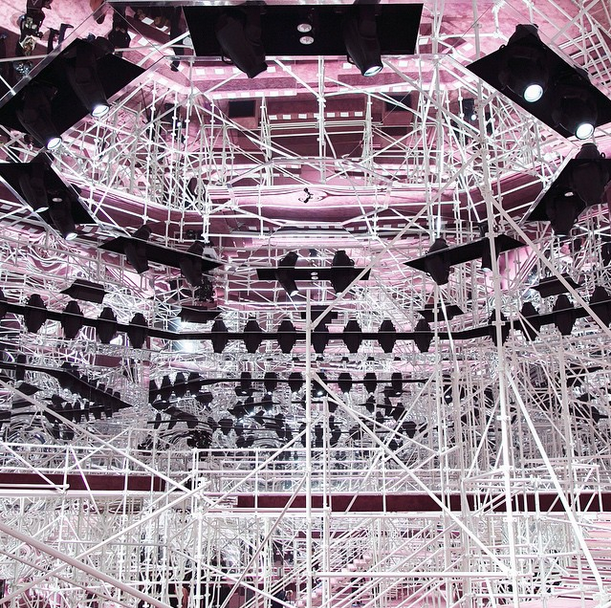 A tent of scaffolding, with pink carpets and mirrored walls, disorientated you and created a magical backdrop for creative director, Raf Simons’ creations. During fashion week, these brand are selling you into their world. At haute couture, the prices are staggering and purchasing the clothes is an unobtainable dream for most. It is their identity that is being sold to the public and is what actually matters – these luxury brands are taking on an almost god-like allure. For me it has brought up an interesting comparison between these luxury brands and brands for the masses. Luxury brands seem to be almost untouched by the mass dissemination of corporate social responsibility that is much apparent among more affordable brands. Corporate social responsibility these days has almost become a mainstream concept, which in turn seems to be in conflict with the quintessential belief of exclusivity which luxury fashion sits upon. There are some interesting considerations and thoughts to be discussed. Could CSR offer a competitive quality to luxury brands? Do you think disclosure of a company’s CSR initiative could potentially be detrimental to a brand’s overall image of exclusivity? And I question, would the consumers of luxury brands take ethical prowess into consideration when making a luxury purchase? Sustainable luxury…is it possible?